EPDM rubber roofing is the biggest story in the industry right now. Representing the very best of recent advances in flat roof technology, this material is very hard-wearing and weather resistant, as well as being easy to install and maintain. 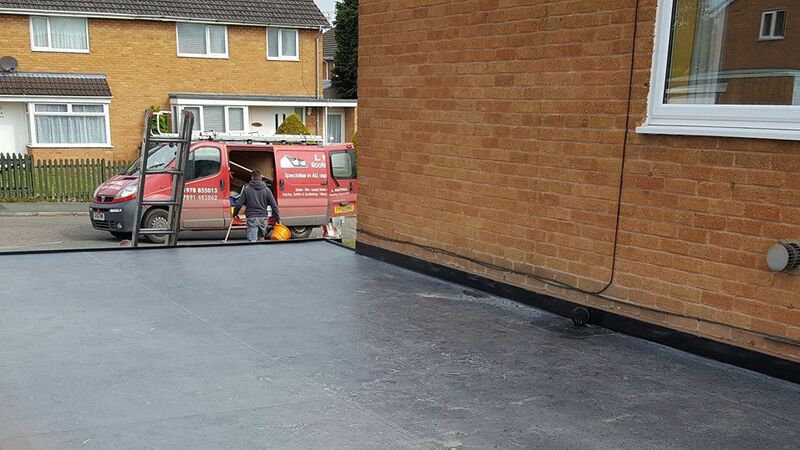 With more than 20 years’ experience in the industry, L Nuttall Roofing installs EPDM roofs in Wrexham, Clwyd, and the surrounding areas, giving your home an attractive and durable finish. When you choose us, our roofers come to your property and provide a free quotation. Once you’re happy to go ahead, we remove your current roof, re-baton and re-felt if needed and prepare for the new installation. Complete with the manufacturers’ guarantee, your brand-new EPDM rubber roof system will last for years to come. Contact us now for a free quote on brand-new flat rubber roofing in Wrexham, Clwyd, and all surrounding areas.